Join EarthCorps and the City of Tukwila as we continue to restore the Codiga Park natural area on the Duwamish River. This former dairy farm is now partially a Tukwila Park and partially a restored tidal wetland that provides shelter and food for wildlife like ospreys, great blue herons, bald eagles and juvenile salmon. Join EarthCorps and the City of Tukwila as we continue to restore the Codiga Park’s natural area on the Duwamish River. This former dairy farm is now partially a Tukwila Park and partially a restored tidal wetland that provides shelter and food for wildlife like ospreys, great blue herons, bald eagles and juvenile salmon. Volunteers should expect to perform restoration site maintenance, remove invasive plant species and plant native trees, shrubs and groundcover. The new channel was planted with native vegetation that thrived. The shoreline of the river, however, remained dominated by invasive Himalayan blackberry and Japanese knotweed. 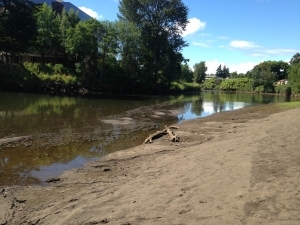 Since 2008, the riverbank has been cleared of invasive weeds and planted with native species in phases. EarthCorps’ Sound Stewards monitor and maintain Codiga monthly to promote healthy native plants. Work alongside Sound Stewards to ensure the success of the Codiga Park restoration site. This area was once a dairy farm owned by Codiga family, like so many farms that supplied Seattle its local food. 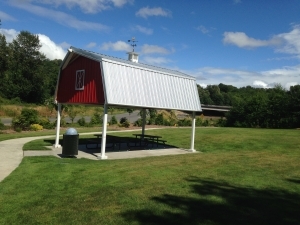 The red barn designed picnic shelter is in honor of the farming history of the site. . In 2005, the City of Tukwila and U.S. Army Corp of Engineers partnered to excavate the center of the property, creating a side channel that offers young salmon a chance to rest, forage for food and avoid predators in a more natural wetland habitat. 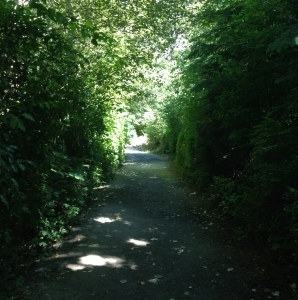 This small park is tucked alongside the Duwamish River in the Allentown neighborhood of Tukwila. It offers parking, grass lawn area, a sheltered eating area with a wide walking path to the river. Kayaks and canoes launches have easy access (100 yards) to the river as well. There is a minor class 1 rapid about 1/4 mile downriver, otherwise the Duwamish is smooth water with varying current. Check tidal charts for river levels since this site does experience tidal action. Bald Eagles can occasionally be seen overhead and in the trees. Ospray nest just up river from the site and can be seen over the site. 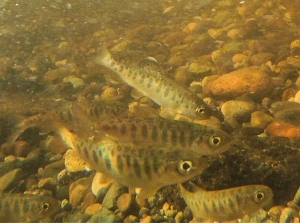 Salmon in their juvenile stage rest in the channel during their spring journey to Puget Sound, while as adults they can be seen returning in September through January. Depending on the time of year, many other bird species can be seen as well.